For our fiber friends in the Northern Hemisphere, winter often finds us burrowed into our homes, or trudging from our house to our car to our office to our car to our house. 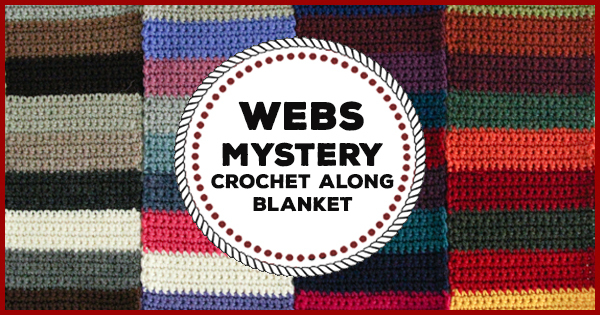 Here at WEBS, we’re hatching a mystery knit- and crochet-a-long to spice up your short days and long nights. It accomplishes a number of good things: you’ll learn some fascinating new techniques that you’ll use forever, you’ll have something fun to look forward to every month as a new square is revealed, and you’ll have a beautiful keepsake blanket that will be just the thing to use as a wedding gift, a graduation present, a baby-shower goodie, or an early holiday present. A week later the square’s pattern will be released online in our blog, along with photos and a technique video so that you can go it alone, if you live too far away to travel to our Northampton store. 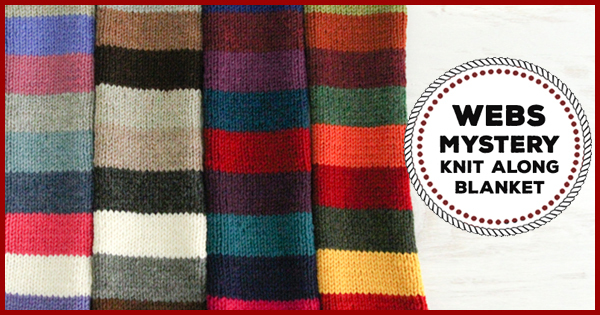 We’ll be sharing your squares-in-progress on Facebook, Twitter, Instagram, Pinterest, and anywhere else knitters pop up to visit with us. 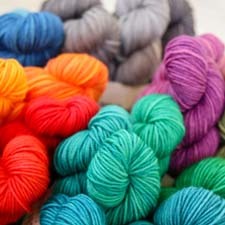 We have some spaces in both the Knit-A-Long class and the Crochet-A-Long class. Why not take a step out of your comfort zone and join us? This entry was posted on Friday, January 16th, 2015 at 3:26 pm	and is filed under Classes, KAL & CAL. You can follow any responses to this entry through the RSS 2.0 feed. You can skip to the end and leave a response. Pinging is currently not allowed. Do you have to take the class to get the pattern. I live on the west coast and I am not sure how to do this?